What we really liked about this product is that the motor provides a speed between 3400 and 6000 rpm, perfect for deep tissue massages. Most products on the market available for a similar price tag come with smaller speeds which usually leads to spending a larger amount of time in order to get the type of relaxation you were hoping for in the beginning. 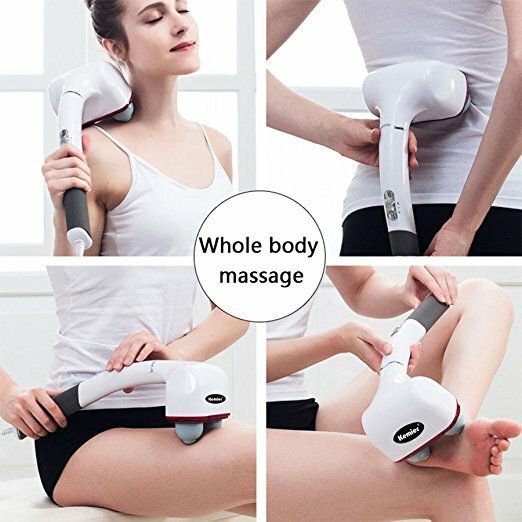 This massaging device comes with an ergonomic and easy to use interface which allows you to enjoy different types of massages. The design is extremely lightweight and the product is easy to use for a wide variety of massage types. The handy wrist strap allows you to reach all the areas of your body and enjoy the type of massage you want without requiring the help of someone else. Therefore, lower back massages have never been that easy before. In addition, the non-slip handle allows you to use the product anywhere, anytime. Another characteristic that we enjoyed is the 1.7-meter (5.5-foot) long power cord which provides sufficient freedom of movement. Therefore, the massager is perfect for being used at home, at work or even when traveling during holidays. Owning a device that allows you to massage the problematic parts of your body could prove a smart thing. These products usually come with numerous accessories and massage intensities to choose from, offering an entirely customized spa experience while sitting on the couch and enjoying your favorite movie or TV show. One of the greatest advantages of owning such a product is the fact that it helps improve your blood circulation if used on a regular basis. Therefore, it could lead to reducing the aspect of certain foot-related conditions, including swollen feet or varicose veins. Another reason why we enjoy using this type of product is that it always manages to release tension and provide relaxation. It can be used on all areas of your body, including your neck, back, scalp, hands, feet, and legs. Most migraines and headaches are determined by the level of stress in your body. If you work in a stressful environment or don’t have enough time to relax your body after a long day at the office, chances are you will stumble across migraines and headaches at a certain point in your life. 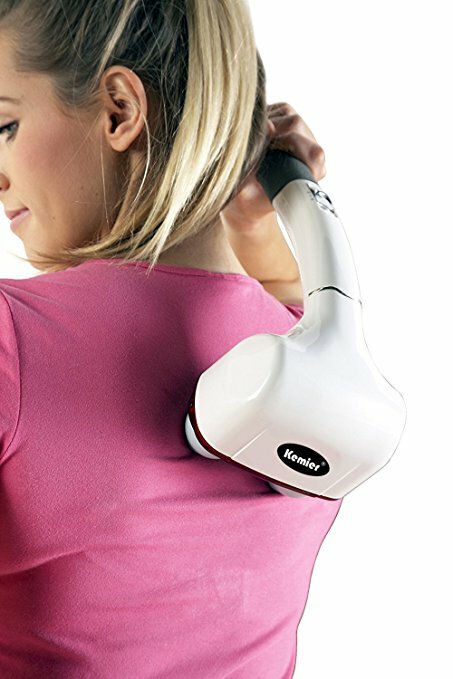 However, instead of trying out pills, you could just first use this Kemier Pro massaging device. By simply putting it on your scalp or at the back of your head, this device is able to release relaxing vibrations that will calm down your nervous system. Most people who decided to give this product a try were surprised by its quality and easy-to-use design. It comes with clear instructions and plenty of features, so it will provide a fully customized massage in the comfort of your own house.